Initial project involved site / landscape integration of the new Arts + Sciences Building into the existing campus fabric. Extensive coordination with Architects and other consultants required. 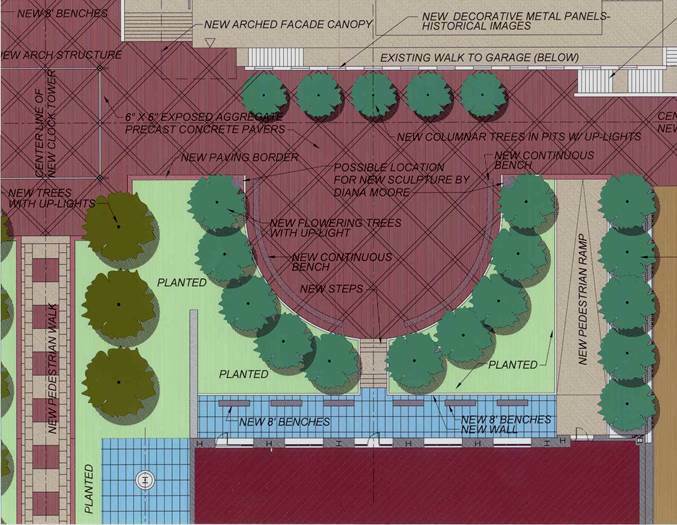 As part of a larger vision, the Campus requested development of an initial master plan for a pedestrian link through the campus which would integrate the various buildings and create definable spaces with unique characteristics. Exterior spaces were envisioned for small concerts, outdoor performances, sitting areas and outside cafes. Critical functional elements such as fire access, maintenance and utility requirements were also provided.